Many of our clients ask us if their is anything that they can do for their skin during the summer months? Our answer to this is YES. Don’t work hard on your skin 9 months out of the year and then let it go during the summer. This is the worst possible thing that you could do. Dr.Kjar and our Master Estheticians recommend that you always cover up when out in the sun. Use a big hat, sunscreen and sunglasses to aid in protecting delicate skin. 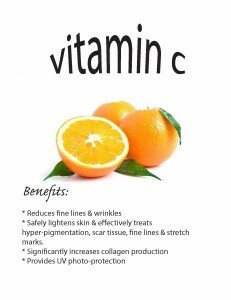 In addition, many products are great to apply during the summer months. 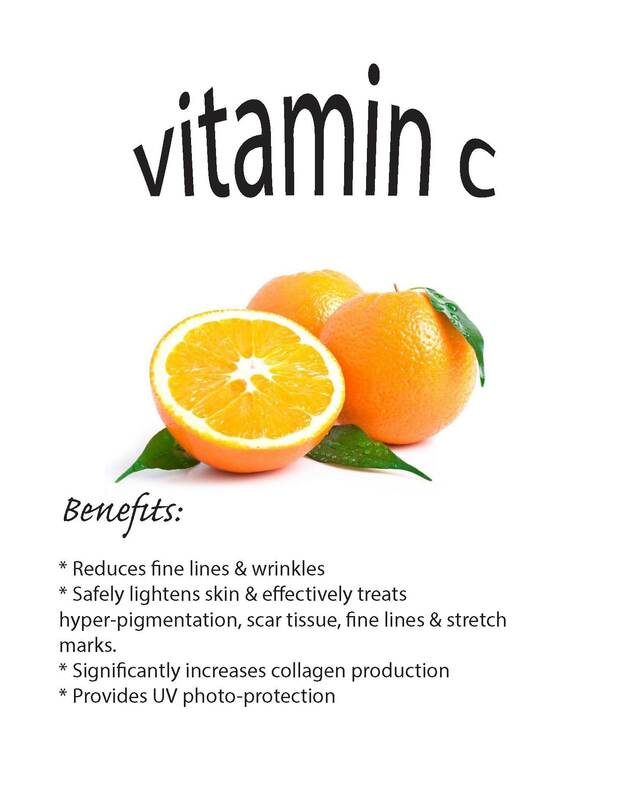 One of those products is Vitamin C. Below you will see some of the benefits of Vitamin C. We have an education class from 6 to 6:30 this Wednesday the 19th. Each attendee will receive a complimentary SunStop Sunscreen ($43 value) or Anti-Ox Ultra Serum ($78 value). If you’d like to attend this class, it is $15, please RSVP by calling 801.295.9105.